A lot of financial and investing firms dabble with marketing automation; however, few have built a full-scale program that they use across their entire customer journey. Firms are collecting vast amount of operational and marketing analytics data long before a prospect becomes a client. Most firms don’t realize they are sitting on a gold mine that can be used to personalize and contextualize every communication they have with their customers. For any service organization to be successful, there needs to be growth of new customers and retention of the existing client base. You can’t expect to sustain growth if you focus on one but not the other. Marketing automation should be used for both sides of this equation. Growth starts by bringing people in at the top of the funnel. Once they're on your website, how do you get them to convert? 1. Chatbots: When prospects come to your website, they have a specific need or question in mind. Don’t use the same generic chat message on every page of your website. If your prospect is interested in trading commodities, your chat message should be tailored and specific to this product. Automate your chatbot messages based on URL. 2. Contextual Content: Your prospects are likely coming in from a number of channels (SEO, paid media, referring websites, social media, and so on). Do you greet every prospect the same way? If you know a prospect came from a paid search campaign aligned with a specific persona, then personalize your copy, imagery, and CTA buttons to this contact. This personalization can happen automatically based on rules you set. These rules can be configured around device type, referring source, preferred language, or country. Now that you have a consistent supply of fresh leads in your database, how do you get them to open an account? A. Don’t over-email your prospects: Set a limit on the number of workflows they can be in and how many emails a prospect can receive. Consider building a suppression list that will remove leads from a workflow if they haven’t opened your last 10 emails. No need to keep sending emails to prospects who don’t want or need them. C. Test your workflow delays: Some sales cycles take longer than others, and you don’t want to blast five emails within the first week to a prospect who may need several months to move forward. Test early and often to make sure you aren’t seeing increased unsubscribes or spam complaints. The opposite is true as well. When a lead is hot, use a combination of emails and phone calls from sales to get them to the next stage. 4. Lead Scoring: Every lead that comes in your database will come in with a different level of buyer readiness. Build out your lead scoring criteria so that your email workflows are tailored toward your buyers’ traits (company size, role, lifecycle stage, and so forth) and behavior (number of pages viewed on site, number of emails clicked, number of webinars attended, and so on). Now that your customers are starting to trade or invest in specific assets, how do you keep them around? 5. Customer Feedback: Measuring client happiness or NPS (net promoter score) over time is a critical part of reducing churn. NPS automation can be employed to send out surveys on a rolling quarterly basis. No need for you to manage these feedback surveys anymore. This can all be done automatically. 6. Upsells: Automation doesn’t just involve communication to your customers. It also includes internally notifying your account managers/executives when a customer seems to be a good fit for additional products or services. Assuming your lead scoring is configured properly and that you have notifications set up when engaged customers come back to the website to browse your other products/services pages, this can create numerous opportunities for increasing revenue and offsetting churn. 7. Client Education: How are you staying in touch with your customers beyond trying to sell them your next product? Your customers are looking to you for financial advice and guidance. By continuously educating them on them on the markets, trading strategies, and trends, you are empowering them to be more confident in their investments and trades. One of the best ways to educate your clients is through contextual banner ads that feature webinars, e-books, blogs, or training on their areas of interest. These banner ads should be featured within your client login area as well as within customer marketing emails. As you can see, marketing automation is much more than machine-gun blasting your emails at your list. Take an intelligent approach and your whole organization will benefit from increased productivity, client happiness, and revenue. Paul Schmidt is a strategist at SmartBug Media. 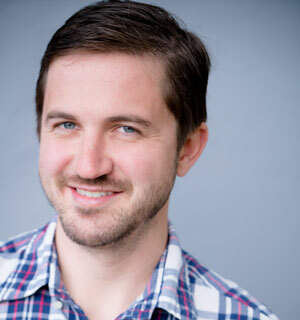 He works with clients on SEO, analytics, lead generation and inbound marketing strategy. He recently co-hosted an SEO webinar series with the HubSpot Academy and spoke on social media strategy at the HubSpot Inbound conference. His past clients include: Travelers Insurance, Unilever, and the SABIAN Cymbal Company. He previously worked as a HubSpot Consultant as well as with a Boston-based search marketing agency. Paul studied percussion in Las Vegas and got his MBA in marketing in Boston. Read more articles by Paul Schmidt.